Scroll down for more info and tickets! Join us for one of the Bard’s Romantic Comedies to herald in the spring! 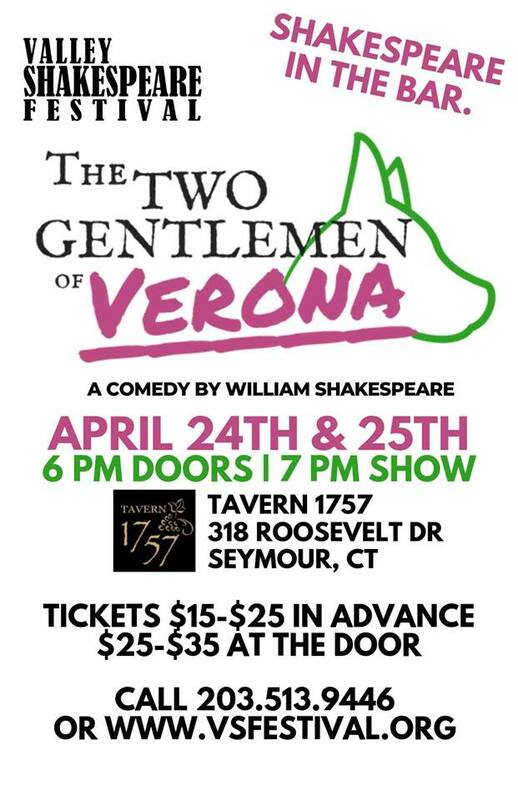 Valentine and Proteus are best friends until they fall in love with the same girl...rivalry, shenanigans and a dog round out this raucous Shakespeare in the Bar!